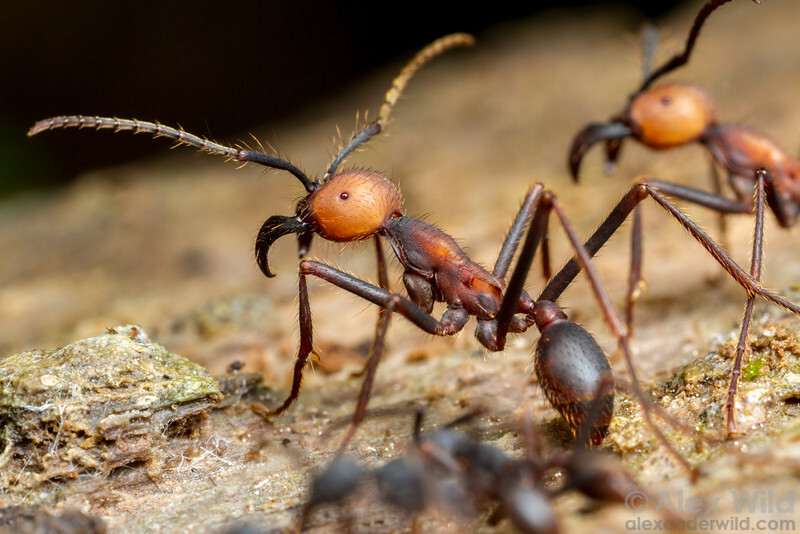 is a large, conspicuous army ant endemic to the neotropics. Most species have a soldier caste with mandibles modified into ice-tong shaped hooks for defense against vertebrates. One rain forest species, E. burchellii, is known for its expansive epigaeic swarm raids. Submajor workers of the army ant Eciton burchellii stand along the edge of a column. Cayó District, Belize.